How To Pick The E-Cig Starter Kit That's Right For You? If you are having a difficult time trying to figure out what kit best suits you as you transition from traditional smoking to e-cigarette smoking, then read on. We have some questions for you to answer and that would help you determine which starter kit best fits you. First is how often do you smoke. If you think you are only going to use your e-cigarette during breaks, then you dont need a kit after all. Disposable ecigarettes would be great for you as it is affordable and you can use it for a long period of time given that the frequency of how you use it is very limited. Second question is one type of smoker are you? If you are a regular smoker, like one pack a day and you would vape as much as you smoked before, you could use a basic starter kit from different brands in the industry. Basically, they resemble traditional smoking and it is the simplest smokeless experience you could get your hands on. Most basic start kids have long-lasting batteries, comes with e-liquids that has different flavors, and a basic charger. 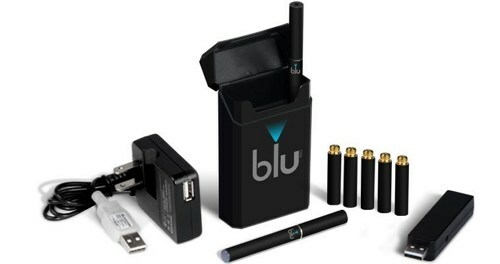 If however you are a serial smoker type, then you surely need an advance ecig for your starter kit. You need something stronger and more powerful. You can start to explore the world of Ego types and Vape Mods. These types have powerful vapor production, strong nicotine strength and full throat hit. Check out some of the best egos, vape mods and tanks at Element Vape today. The next question is where will you be using your vape. If you want to use your vape anywhere and anytime, choose starter kits that are not as complicated in parts, very portable and stylish looking. Miniature e-cigarette pens are the most common included in starter kit packages so it won’t be too much of a hassle for those who are new to this and can usually take it out and have a puff. However, if you plan to just use it at home, we recommend the eGo types of e-cigarettes and the big ones. They may be bulkier and are not as discreet as other kinds of pens but are stronger in terms of vaping production and throat hit. The last is the budget that you are willing to spend on e-cigarettes. If you are willing to spend a lot of money in order to get everything in just one starter kit package and just stock up on your vaping supplies, then you can choose starter kits that have all the accessories, include a lot of flavors, a lot of e-liquids, has a charger and has extra batteries so you are good to go and you can explore the world of e-cigarettes upon your first purchase. Brands such as V2 cigs and Green Smoke offers these types of starter kits and are the best places to get them.